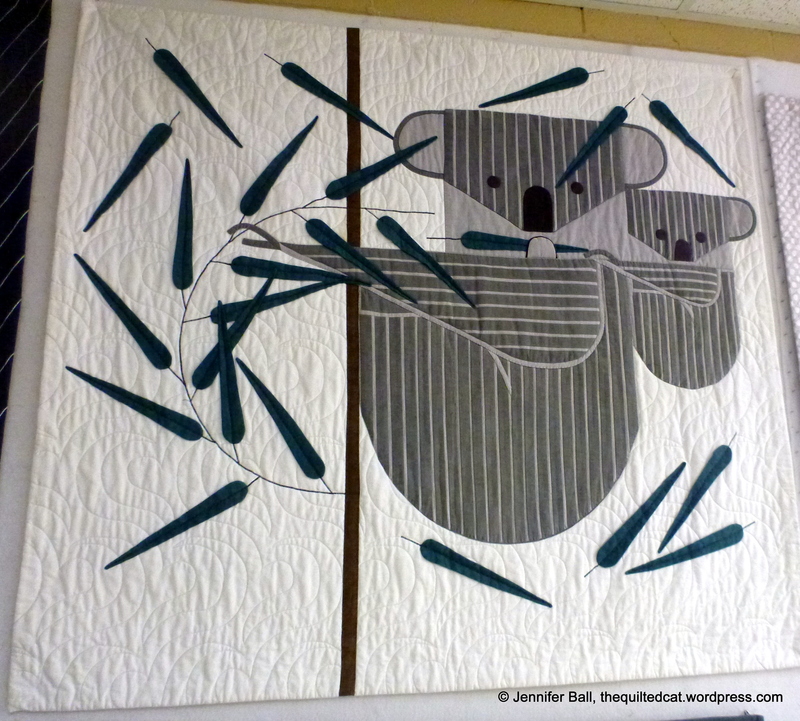 This entry was posted in Applique, Cats, Events, Modern, Quilts, Sewing and tagged cat quilts, Charley Harper quilts, Dancing Churn Dash, Forest Abstractions, Quick Curve Ruler, the Pine Needle, Violet Craft by thequiltedcat. Bookmark the permalink. 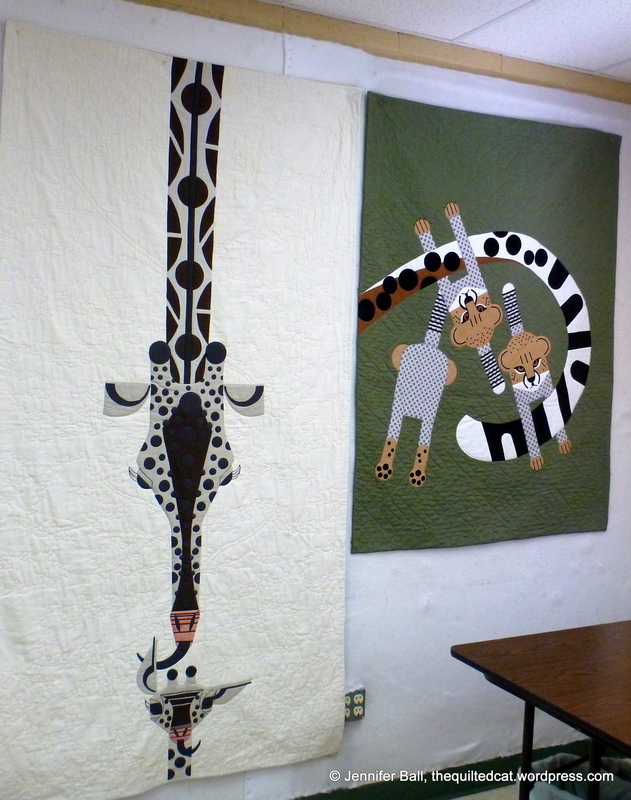 Thank you for posting photos from the trunk show. I didn’t have a chance to get over to the store for Open House this time. 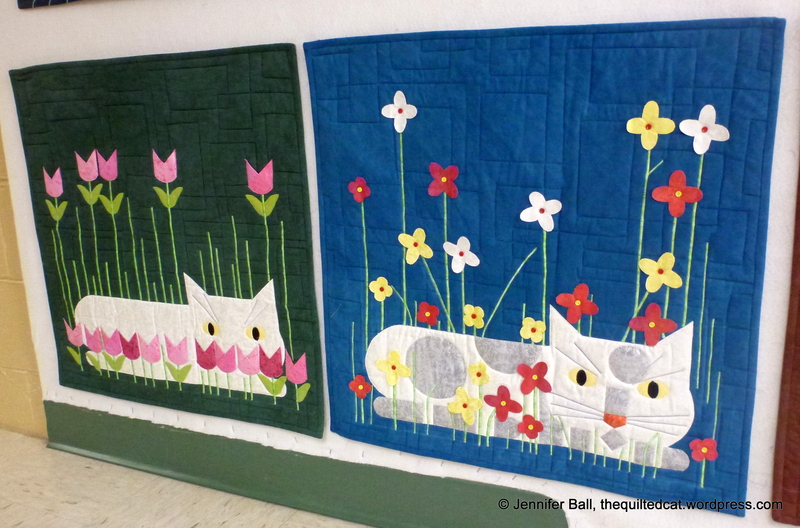 The cat quilts are quite unique and are really fun. I may have to check out getting one of these too.